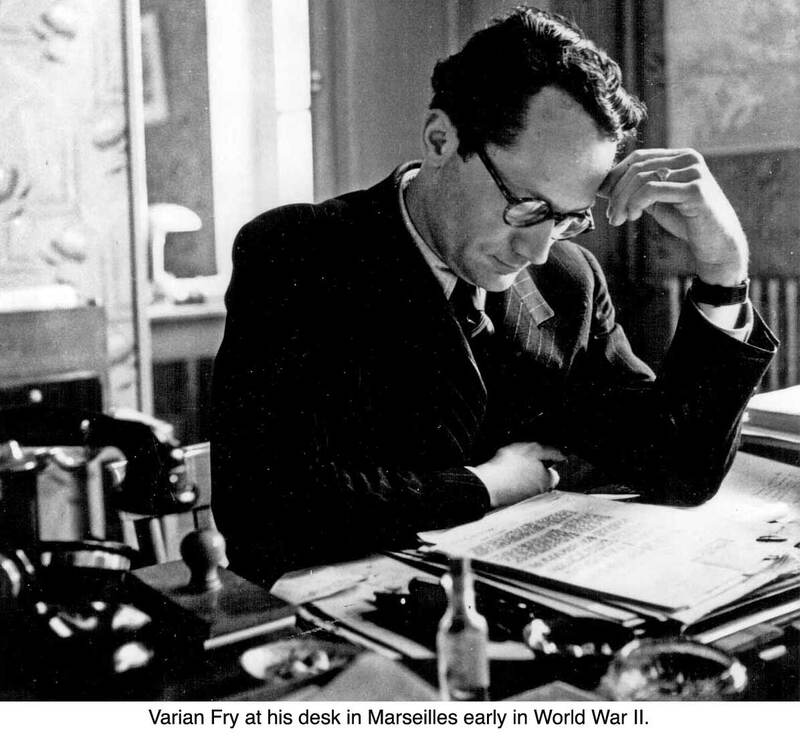 When he lived in Ridgefield, Varian Fry rarely talked about war, much less his part in it. He was more likely to chat about his irises or perhaps the state of classics instruction at Ridgefield High School, where he did some teaching. However, by the late 1990s, 20 years after his death, Mr. Fry was being recognized around the world as one of the unsung heroes of World War II. A non-Jew, Mr. Fry is credited with saving the lives of some 2,000 Jewish artists, writers and scholars wanted by the Nazis. As a volunteer agent for the World Rescue Committee, this scholarly intellectual spent 14 months in Marseilles in 1940 and 1941, sneaking out countless Jews and others wanted by the Nazis—among them painter Marc Chagall, sculptor Jacques Lipchitz, painter-poet Max Ernst, and writer Hannah Arendt. His exploits—and his lack of support from the U.S. government, which helped to get him expelled from France—are detailed in his 1945 book, “Surrender on Demand,” reissued in 1997. His story has been told in major exhibits at the Holocaust Memorial Museum in Washington (1993-94) and The Jewish Museum in New York City (1997-98). France awarded him the Legion of Honor in 1960, and in 1996, Israel posthumously gave him the “Righteous Among the Nations” award, presented to gentiles who helped to save Jews; he was the first American ever so honored. At the ceremony, U.S. Secretary of State Warren Christopher apologized for Mr. Fry’s treatment by the U.S. government during the war. In 2000, both a biography (A Quiet American: The Secret War of Varian Fry) and a movie—a Showtime film starring William Hurt as Fry and produced by Barbra Streisand—were done about his rescue work, and he was being heralded through exhibits on three continents. Mr. Fry, who worked as a writer and editor, lived on Olmstead Lane and later in Farmingville from 1956 until shortly before his death in Easton in 1967.